Disneyland Resort in Anaheim, Calif., has spread a bit of its magic to its workers by agreeing to increase minimum wage to $15 per hour by January 2019. At the time of the announcement, minimum wage for park workers was $11 an hour, which will be bumped to $13.25 for the remainder of the year. To ensure the wages keep up with the times, minimum wage will increase again by mid 2020 to $15.45 per hour, and will continue to increase for workers near minimum income by 3 percent every year, according to a CBS MoneyWatch report. 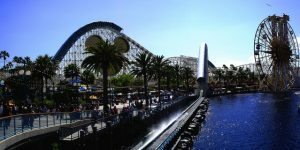 The change comes after months of negotiations with nine labor unions advocating for higher pay for employees at Disneyland and California Adventure Park. Data on park employees from a study funded by park unions showed roughly one in 10 Disneyland workers had experienced homelessness recently. The study also showed 73 percent of respondents did not earn enough for basic expenses, including food, gas, or rent. The problem of low wages is compounded by long commutes and sporadic work hours that make it difficult to supplement income in any significant way. With roughly 30,000 employees, these numbers are significant. Park representatives said this will be one of the highest entry minimum wages in the country, beating the scheduled gradual increase of minimum wage in Los Angeles and the state of California. Minimum wage in L.A. is currently $13.25 per hour for businesses with more than 25 employees and is scheduled to hit $15 per hour in 2020. California is scheduled to reach $15 in 2022.Concurrently, union workers also pushed for a November ballot measure in Anaheim that would raise minimum wage to $15 an hour for workers at hospitality businesses that accept a tax subsidy from the city. In addition, hourly pay would go up an extra $1 per hour per year through 2022. At this rate, minimum wage would be $18 an hour by 2022. This would sweeten the pot quite a bit for the Disneyland workers who just received raises, and would help Disneyland employees not covered by union contracts, as well as hospitality employees throughout the city, including those would be working at two luxury hotels underway in the area. 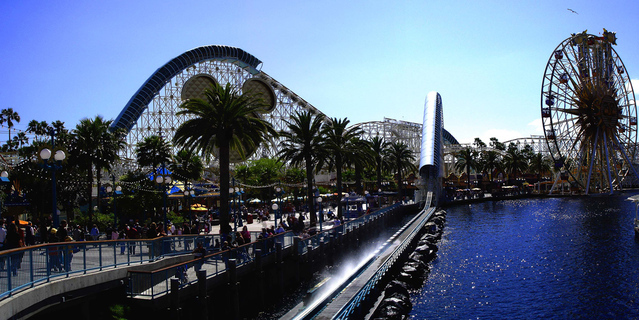 Among those standing in opposition of the ballot initiative is Disneyland itself. Disney has also been accused of dangling a promised $1,000 bonus as a bargaining chip in negotiations with hotel worker unions in Anaheim and Orlando. Our Los Angeles wage dispute attorneys know that fighting for a living wage is only half the battle. Once minimum wage is set, it is essential to ensure employers are adhering to the wage and hour obligations. That is where the skill and knowledge of our trusted legal team come into play. We know unions and workers fought hard to earn the wages they need to live their lives. It is our job to protect those wages. If you suspect your employer is not meeting wage obligations or is in violation of other relevant labor laws, our employment lawyers will use our extensive experience to determine your rights and the best way to move forward.